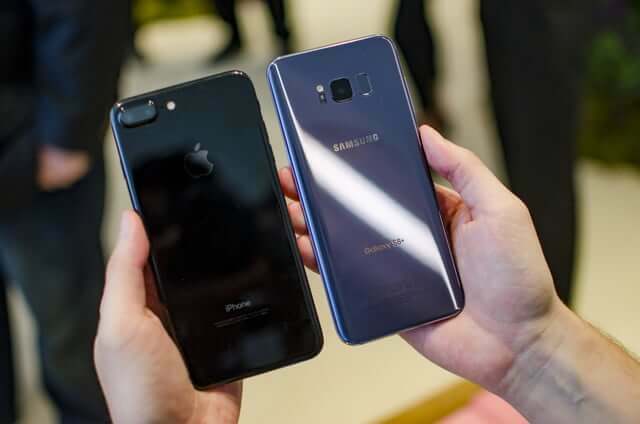 The Samsung Galaxy S8 Plus stood atop the newly released smartphone rankings by Consumer Reports on Tuesday, beating out Apple’s iPhone 7 Plus and iPhone 7. Its little sibling, the Samsung Galaxy S8, came in second. Samsung also took the top spot in the 2016 consumer rankings with its Samsung Galaxy S7 and Samsung Galaxy S7 Edge. Consumer Reports said that the Galaxy S8 Plus camera was impressive for being able to take vibrant photos and their performance in lowlight settings. The publication also noted that the phone’s battery life is one of the best it has seen. “Apple has lost a little bit of its perceptions on innovativeness,” J.P. Gownder, a vice president and principal analyst at Forrester said, adding that recent iPhones have just been incremental updates. “You can also look at things like the virtual reality, these are things that Apple hasn’t done yet.” Both Samsung Galaxy S8 phones will have support for Google’s Daydream VR program added to them this summer.